Scottish Stained Glass provides beautiful custom stained glass for any area of your home. However, one of the most popular and beautiful applications is for your bathroom. 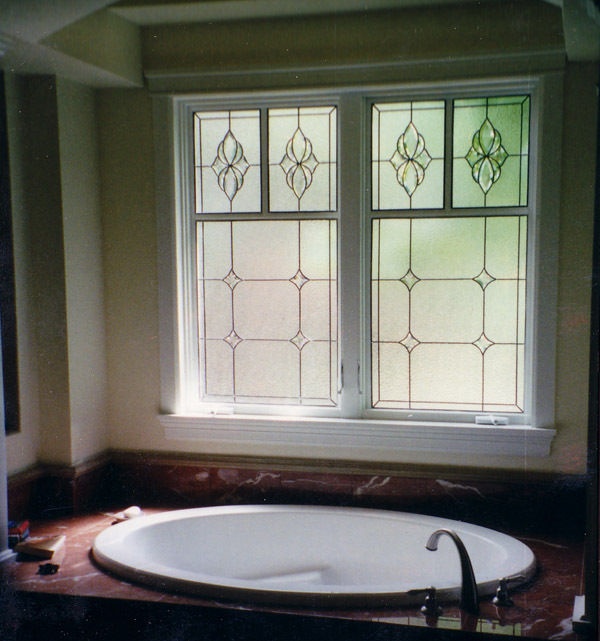 At Denver Stained Glass we have done countless stained glass windows for bathrooms with stunning results. It’s not just their beauty that makes them something to consider either. 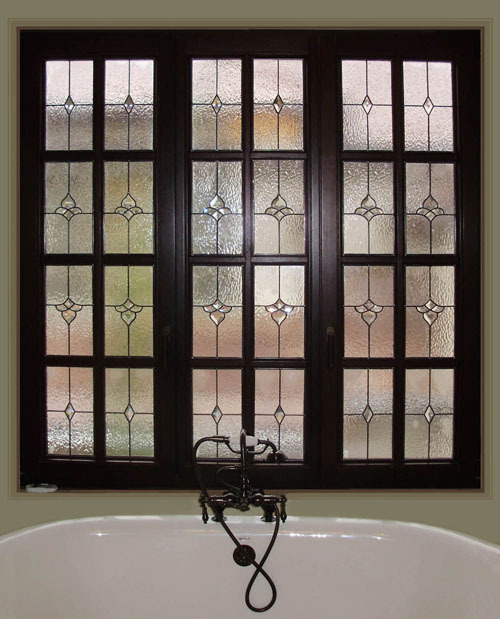 They have numerous other benefits that will make you happy you made an investment in Stained Glass windows for your bathroom. Your bathroom is your hideaway within your home. It is a place where you can truly be alone away from the hustle and bustle of the world inside and outside of your house. 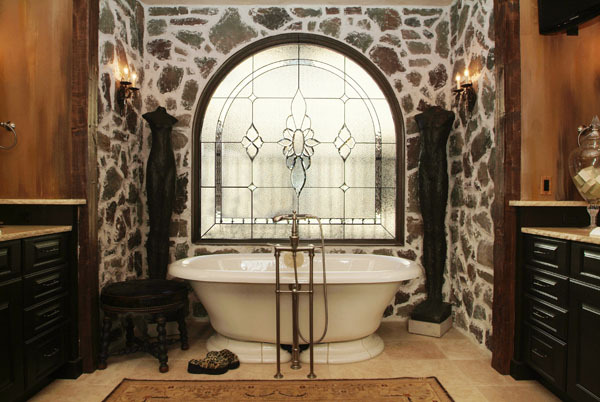 Adding stained glass windows makes your bathroom a place of beautiful reprieve. It allows you to customize your bathroom experience. Whether you are looking for serenity, minimalism or elegance, stained glass can help you achieve the new look you want in your bathroom. If you are not quite sure what you want, our designers can help you hone in on your personal style and create something unique and gorgeous for your bathroom. 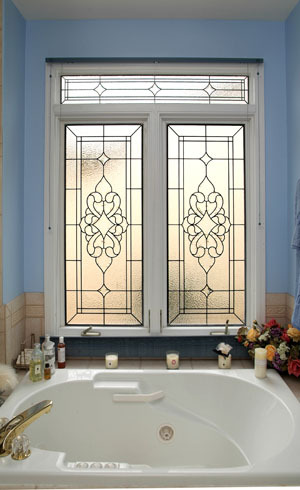 Another big benefit of stained glass windows in your bathroom is privacy. What better place in your home to add an element of privacy, than in the bathroom? You can use bright-colored stained glass or something a little more subtle like beveled or frosted stained glass to achieve the level of solitude you want. The great thing about using these stained glass methods is you allow natural light in while keeping the eyes of the world around you out. Say goodbye to awkward eye contact with passerby’s or the neighbor next door from you bathroom window and say hello to alone time where you are truly alone! After over 25 years in the industry, Denver Stained Glass has mastered the art of stained glass. From our designers to our installers and craftsmen, we only use the best in the industry. Our glass is of the highest quality and made to your exact size and specifications. 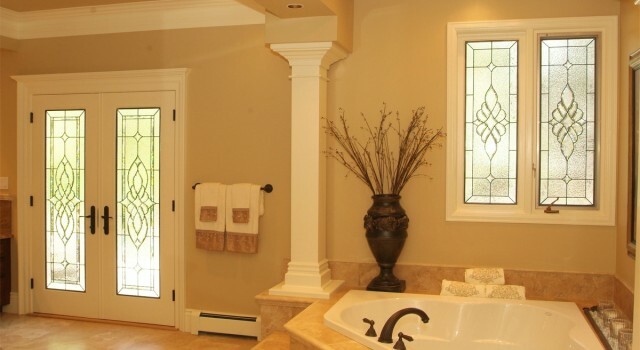 Stained glass is a beautiful addition to your homes bathroom and when made and installed properly by an industry leader like Denver Stained Glass, will last for decades to come. 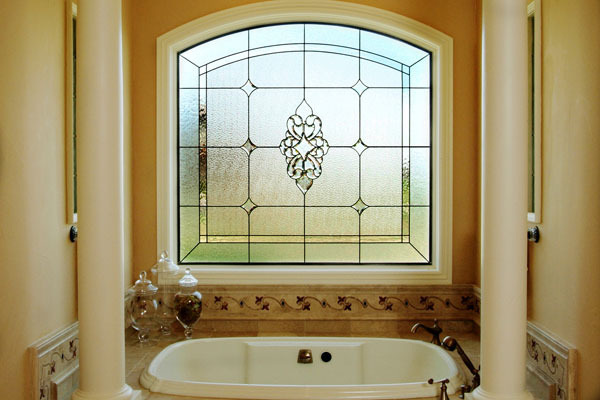 Contact us today to get a free consultation on the bathroom stained glass of your dreams!